Economists study the way society uses its resources to attain varied—and often conflicting—goals. Some devise fiscal and monetary policies that make countries better off; others develop theoretical and statistical tools to analyze patterns of economic activities such as production and consumption. The skills and knowledge gained from the study of economics are flexible across career fields and in graduate programs from law to business. 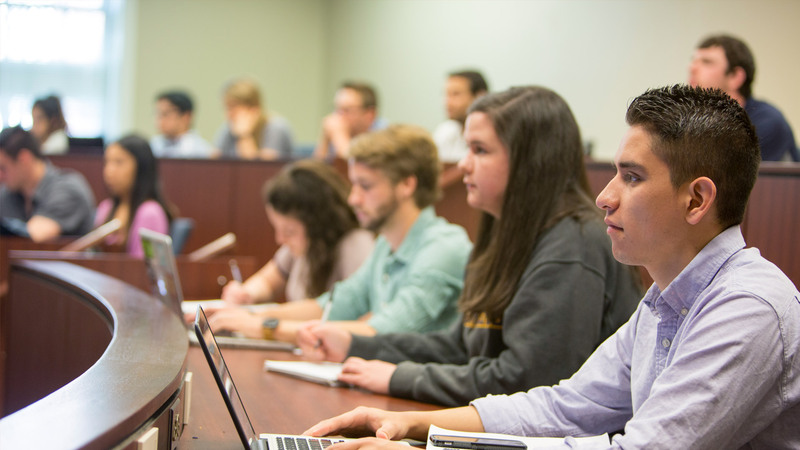 The economics program at TCNJ is built on small classes and individual attention. Averaging 25 students, our classes are designed for discussion-based learning and one-on-one interaction with faculty mentors. Students complete frequent writing assignments and oral presentations, developing the analytical and communication skills essential to success in economics and other business-related fields. The department offers both a Bachelor of Arts (BA) and a Bachelor of Science (BS) in economics to support students with a wide range of career goals. This program is designed for students seeking a broad liberal arts context for their study of economics and is especially recommended for those planning to pursue graduate study in economics, law, and public administration. 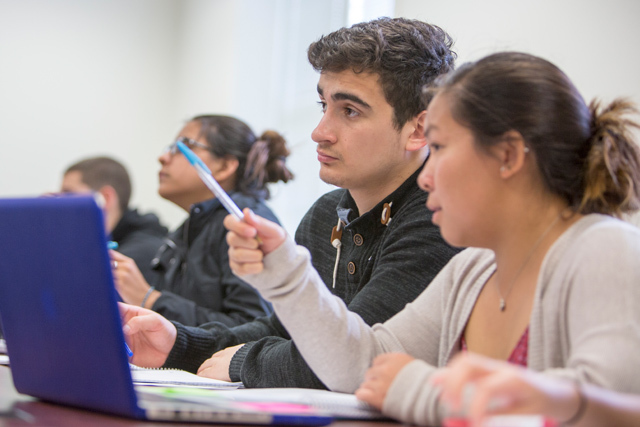 Students take advantage of TCNJ’s strong curriculum in the liberal arts and sciences, choosing courses in math, history, and the social sciences to complement their study of economics. Within the BA program, students may pursue two specialized options. The teacher education program prepares students for certification to teach social studies at the middle and high school levels. The seven-year medical program provides select students with an accelerated pathway via dual admission to both TCNJ and our partner medical school. This program offers more specialized training in economics and related business fields, including core courses in accounting, finance, management, and marketing. 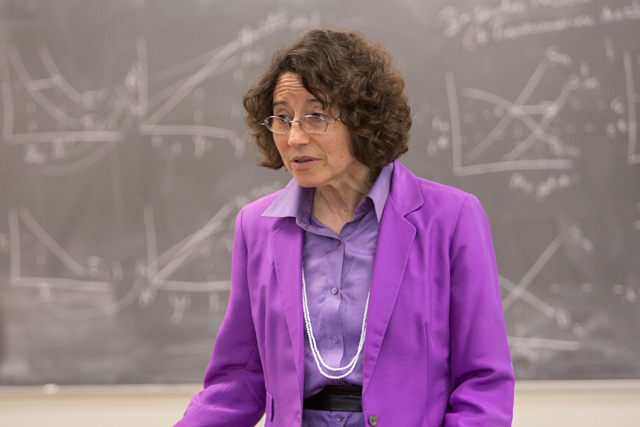 The economics sequence includes introductory- and intermediate-level courses in macroeconomics and microeconomics, among others. Students can round out their study of economics with course options that match career interests in an array of topics, including labor, health care, environment, economic development, banking and financial institutions, international trade, and international finance. An understanding of economics is valuable in life and as a complement to a number of academic disciplines. By completing a minor in economics or international business, students expand their competitiveness in landing a first job and build a foundation for long-term career growth. By extending your new knowledge of economics to its practical applications, you gain confidence in your chosen career and add experience to your résumé. Our students take advantage of the many opportunities to learn outside of the classroom, competing in the annual College Fed Challenge, sharpening skills in stock market and other simulation games, networking and presenting at national conferences, and taking on leadership roles in the Economics Club and other student organizations. Our location along the powerhouse northeast corridor opens up internship opportunities for our students at global firms such as Goldman Sachs, Johnson & Johnson, and Coface. And our proximity to leading business and thought centers in economics—Princeton, Philadelphia, New York, and Washington DC—gives students exceptional access to meet and learn from guest speakers and panelists, including some of the most influential economists in the world. All economics majors complete a senior thesis capstone as the culminating experience of their degree program. Not only does writing a thesis synthesize the skills and knowledge developed over a college career, producing original research on an important economic topic demonstrates an ability to integrate and analyze disparate sources of economic data to reach original, independent conclusions. And that adds value to your employment portfolio. Your senior thesis is also an opportunity to practice the presentation and networking skills essential to a business career. Economics majors often present their senior theses before peers from colleges and universities in the tri-state region as well as at national forums, including the Omicron Delta Epsilon Undergraduate Business and Economics Conference at Ursinus College. 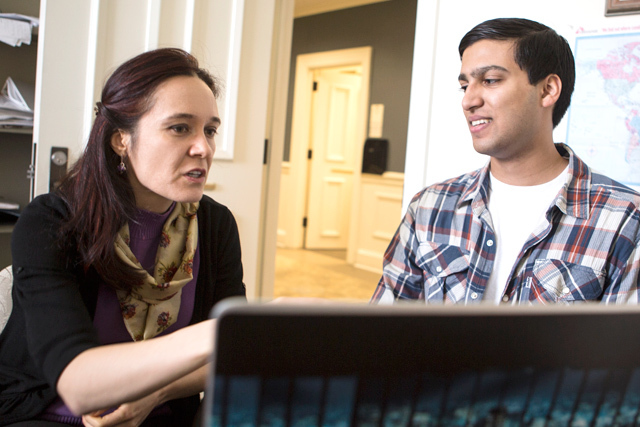 As our students gain extensive experience in statistical programs including data processing, estimation, and experimental design, they are well positioned to launch careers in such fields as business, government, and public policy or administration. Prudential Financial, Texas Instruments, Morgan Stanley, Bloomberg L.P., and the Federal Reserve Bank of Philadelphia, among others, have all hired recent TCNJ graduates. The American Economic Association provides useful information on career and graduate school pathways for undergraduates studying economics. A full 36 percent of TCNJ economics majors have continued their studies at the graduate level since 2001, earning acceptance at prestigious universities across the nation. The most common choice is law, with graduates accepted at both local (Rutgers–Newark, Rutgers–Camden, Seton Hall) and nationally ranked law schools (Duke, Virginia, Michigan, Penn, Washington University). Our economics graduates also enroll in MBA, PhD, and MA programs. MBA candidates have pursued both standard and dual-degree programs at schools including New York University, Temple, and Pittsburgh. PhD candidates generally choose to study economics, although graduates have pursued fields as diverse as mathematics. For their master’s degrees, graduates have enrolled in public policy, economics, and human resources programs at such schools as Georgetown, Villanova, Boston University, and Rutgers’ Bloustein School. Read the latest report on job market outcomes for economics majors, here. Economics majors have also pursued medical school, through the TCNJ seven-year medical program or the traditional route, as well as dental school.